Scott Furrow | … is coffee. I wasn’t able to say anything until today because of what happened, but now I can finally talk about my adventure in a driverless car a couple of weeks ago. You may have seen it on the news, but they didn’t tell the real story. I was in the back seat of that Uber driverless car that crashed in Tucson. While nobody was hurt, the real story is much worse than reported and I have been advised to tell my story today because people should know. The day started out like a usual day. I was at Costco. It was a little early in the day for the usual sample-fest, but I was there to return some stuff. Ever have a sample of that flavored hummus and then wind up going home with 3 gallons of it? Note, Costco hummus is not as good as it seems in the store. What happened next was utterly shocking and disgusting. As you might be able to tell, the bag was in fact several years old. It turns out the guy bought the shrimp from Costco 14 years ago and he said it was frozen for “most of that time.” The supervisor frowned and opened the bag. The stench was so overwhelming she passed out and actually, all of us in the area started hitting the floor. For me, the stench was horrific but the shrimp appeared to also be moving which was even more terrifying. So, he let me into his car, which I didn’t even notice at the time looked different. It was a Volvo, so something odd in the design didn’t seem strange to me, I just got in the back. Unfortunately, I slept for 2 hours before I was awakened by bright light and a humid and heavy stench. I looked, and realized immediately, if wasn’t more Costco shrimp, I was in El Centro! I grabbed my cell phone only to discover that not only did I have no reception, but the car, as if it saw what I was doing, announced to me “Mobile devices are disabled for this UBER Vehicle in order to stimulate conversation or meditation.” WHAT? Conversation with who? The driver was asleep and unwakable in the front seat and then I realized it was one of those driverless cars. And I’m being kidnapped by it! The doors wouldn’t open, neither would the windows. A Muzak version of Mr. Roboto was on repeat too, fittingly enough. I was wisked out of the car quickly by some uniformed UBER security who arrived before the police. I don’t know what happened to the driver. I had a feeling that the UBER people had caused the crash on purpose just to stop us. In some empty office across the street, I was ordered to sign a secrecy agreement and settlement plan, which is why I’ve remained quiet. But my attorney advised me that I need to go public with the story for the sake of everyone else, and I agree. This technology and driverless cars is no good, it’s out of control. And to tell the truth, I think there’s something a lot more nefarious about the whole thing, just more of the elite taking more control away from the regular people. I say no to driverless cars, I want to drive myself thank you! If you see this device, don’t trust it. Get out! That is all, I just thought you needed to know. If there are more developments, I’ll let you know those too. For now, drive your own car, and throw away old shrimp! There is a reason we have a holiday for Martin Luther King Jr. A reason for a monument on our National Mall. Whatever the political or social reasons might be, my view is, we remember him today because we need to remember some important things he practiced and preached. These are values that are hard, but they are values that bring social achievement and peace when practiced. The values were taught by Jesus, as Martin Luther King explains. As usual, Jesus is right about everything. During King’s life, some accused him of being a communist because he was opposed to some of the US actions in Korea and Vietnam and because he spoke out against the failures of our own system. Yet, when you read this sermon in context, and when you read his other teachings in context, you see he clearly denounces communism at its core and supports democracy for what it ought to be. “Now certainly, we can never give our allegiance to the Russian way of life, to the communistic way of life, because communism is based on an ethical relativism and a metaphysical materialism that no Christian can accept. When we look at the methods of communism, a philosophy where somehow the end justifies the means, we cannot accept that because we believe as Christians that the end is pre-existent in the means. But in spite of all of the weaknesses and evils inherent in communism, we must at the same time see the weaknesses and evils within democracy.” – Martin Luther King Jr. It was an easy way to dismiss people who may disagree with you by accusing them of being like a historical bad guy, or some kind of adherent to an evil ideology. So, if you didn’t want to deal with King’s call to national repentance, you just called him a communist and ended the argument. We do this today. You may have heard some claim that Trump is Hitler, but others claimed that Obama was Hitler too. George W. Bush was Hitler. Bill Clinton was Hitler. George HW Bush was Hitler, Reagan was Hitler, and there’s a whole host of Hitlers on all sides who never really won an election giving them the opportunity to prove they were, in fact, not Hitler. This is not to give any approval or excuse for the terrible things our leaders might do or say or believe, or to suggest we should not be aware that new tyrants will come. But Dr. King knew as well as anyone that this kind of talk is useless and not helpful. It is the lowest of our national discourse; it’s not discourse at all. It is a hateful “whatever” that we end a conversation with when we refuse to consider that not everything about those we don’t like is necessarily evil or wrong. Usually, our enemy has a point or two we should actually consider. But we can’t do that when our enemy is just regarded as totally evil and irredeemable. When everyone is Hitler, no one is Hitler, and when we do this, we will never recognize a new true tyrant because we have obliterated the meaning of words and history just to end an argument. Likewise, in the period after World War II, people who had a different opinion on one side was often labeled as a communist by the other. Nixon, Johnson, Kennedy – all communists to some, and if they are all communists, then no one is a communist. As some do today with many of our national heroes and historical figures, people who are opposed to what those people actually stood for either try to obfuscate their message altogether, or they reinterpret that hero’s philosophy in such a way as to somehow justify violence and hate in their name. This is happening in most of our universities, not just in social media rants. It is why it’s important to always read the source as often as possible. We humans all have an ability to interpret events and teachings in ways that support out own preconceived notions and agendas. This is why “fake news” is rampant today – we like it when it supports our view, even though it is false and ultimately, destroys our credibility. Below is a sermon by Dr. Martin Luther King Jr. It’s not one of his most famous sermons, yet, it’s a sermon he gave more often and shows us his underlying thought for his philosophy of nonviolence. There is room for people to disagree about this point or that, and many forget he was a Baptist preacher, so that is where he is coming from. But I would suggest that if his philosophy was different than what he describes here, there would be no holiday today in his name. No day-0ff, no monument, no reason to remember him. He would have achieved little or nothing. We remember Martin Luther King not because of what he accomplished, but because of why he accomplished it. We would do much better as a nation if we considered the why of his accomplishment and practiced it with each other today. It’s a good day to read or listen to what he had to say. So here’s a sample. “LOVE YOUR ENEMIES” – Delivered at Dexter Avenue Baptist Church, Montgomery, Alabama, on November 17, 1957 by Martin Luther King, Jr. I am forced to preach under something of a handicap this morning. In fact, I had the doctor before coming to church. And he said that it would be best for me to stay in the bed this morning. And I insisted that I would have to come to preach. So he allowed me to come out with one stipulation, and that is that I would not come in the pulpit until time to preach, and that after, that I would immediately go back home and get in the bed. So I’m going to try to follow his instructions from that point on. “In the fifth chapter of the gospel as recorded by Saint Matthew, we read these very arresting words flowing from the lips of our Lord and Master: “Ye have heard that it has been said, ‘Thou shall love thy neighbor, and hate thine enemy.’ But I say unto you, Love your enemies, bless them that curse you, do good to them that hate you, and pray for them that despitefully use you; that ye may be the children of your Father which is in heaven.” – MLK Jr.
“But far from being an impractical idealist, Jesus has become the practical realist. The words of this text glitter in our eyes with a new urgency. Far from being the pious injunction of a utopian dreamer, this command is an absolute necessity for the survival of our civilization. Yes, it is love that will save our world and our civilization, love even for enemies.” – Martin Luther King, Jr.
“A second thing that an individual must do in seeking to love his enemy is to discover the element of good in his enemy, and everytime you begin to hate that person and think of hating that person, realize that there is some good there and look at those good points which will over-balance the bad points.” – Martin Luther King Jr.
“And when you come to the point that you look in the face of every man and see deep down within him what religion calls “the image of God,” you begin to love him in spite of. No matter what he does, you see God’s image there. There is an element of goodness that he can never sluff off. Discover the element of good in your enemy. And as you seek to hate him, find the center of goodness and place your attention there and you will take a new attitude.” – Martin Luther King Jr.
“There are a lot of people that I find it difficult to like. I don’t like what they do to me. I don’t like what they say about me and other people. I don’t like their attitudes. I don’t like some of the things they’re doing. I don’t like them. But Jesus says love them. And love is greater than like. Love is understanding, redemptive goodwill for all men, so that you love everybody, because God loves them. You refuse to do anything that will defeat an individual, because you have agape in your soul.” – Martin Luther King Jr.
“Somewhere somebody must have a little sense, and that’s the strong person. The strong person is the person who can cut off the chain of hate, the chain of evil. And that is the tragedy of hate, that it doesn’t cut it off. It only intensifies the existence of hate and evil in the universe. Somebody must have religion enough and morality enough to cut it off and inject within the very structure of the universe that strong and powerful element of love.” – Martin Luther King Jr.
“Now there is a final reason I think that Jesus says, “Love your enemies.” It is this: that love has within it a redemptive power. And there is a power there that eventually transforms individuals. That’s why Jesus says, “Love your enemies.” Because if you hate your enemies, you have no way to redeem and to transform your enemies.” – Martin Luther King Jr.
Let the San Diego Chargers go to Los Angeles. Let’s face it, every year, the Chargers are almost a good team, but they always disappoint, and that makes them a perfect counterpart for the Los Angeles Dodgers. 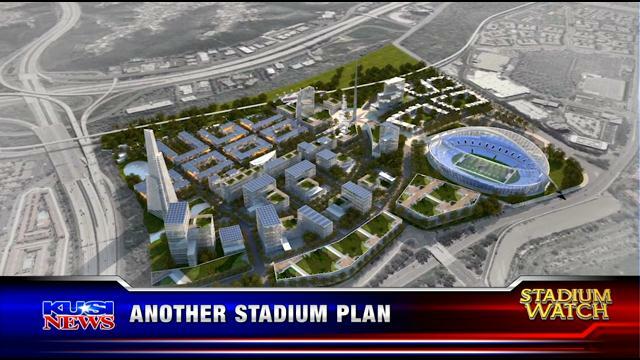 But even without a team, the City of San Diego should build a state-of-the-art football stadium anyway. Here’s my proposal, subject to approval by the National Football League. I propose we destroy Qualcomm in some dramatic fashion, in order to build excitement for what would be not just another football stadium, but the biggest one ever built. It shall be known as the most magnificent sporting venue in the world, the new Eighth Wonder of the World. We would build it, not for a replacement or expansion team in the NFL, but for something greater, greater for San Diego, greater for sports fans everywhere. Our new stadium’s name will not be associated with any bank or other local company. The name will be simple, straight-forward, and will clearly identify it’s purpose. The stadium will be built to host only one football game a year, the game and the stadium shall have the same name: The Super Bowl. The idea is that all future Super Bowls would be played in San Diego, at The Super Bowl, in exchange for San Diego not having it’s own team. We would trade eight mediocre games for one spectacular event. I think that’s a good deal for San Diegans, who aren’t buying Charger tickets anyway. With the Furrow Plan, we don’t need to buy tickets, instead, the world will be buying tickets from us! It is clear that San Diego is the best city in the world to host the Super Bowl. We have the best weather in the country, with very good odds of a spectacular environment for fans, teams, blimps, and more. There would be no concerns of profit reducing snow or rain or general dreariness. Fans will also be able to enjoy the sunshine at the beaches, the resorts, and the world famous San Diego Zoo. Tourists are only a short drive from Legoland and even Disneyland. Imagine the possibilities. While many might prefer a downtown stadium for a local team, the Mission Valley location would be ideal for The Super Bowl. Plenty of room for parking of course, but also, imagine the use of that space for the fan and media experience! Plus, the complex could contain community sports fields, sports themed restaurants and activities and think of it – The Super Bowl resort and Spa! How would this all be funded? You mean how would all those additional tourist tax dollars, media deals, and various fees for this and that pay for it? I think we just paid for it. Some naysayers have suggested that the Super Bowl drives away as many tourists and city revenue, as it brings in. That may be true in other cities, but unlike cities with those ugly domed stadiums, people actually want to visit San Diego, and will even extend their stay for an amazing vacation. There is more than enough to do and places to stay. The revenue from all of that makes the Furrow Plan financing scenarios obvious. The Superbowl belongs in San Diego. Let’s face it, there’s really no point in traveling to arctic places like New York, Buffalo, Philadelphia, Chicago or the Northeast and Midwest in general during the winter and no one wants to go to Miami or Phoenix until retirement. New Orleans can’t keep the lights on, and besides, like Detroit, St. Louis, and Minneapolis, they have that dome problem. Domes are dumb. Los Angeles has too much traffic, San Francisco is too liberal, Boston cheats, Seattle and Denver have certain other recreational problems, Baltimore is Baltimore and the other cities are just other cities. But San Diego is America’s Finest City. 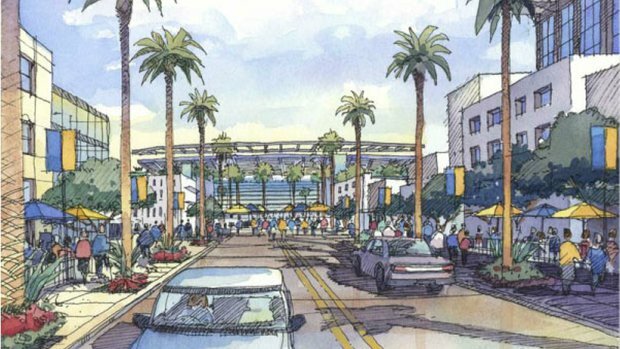 Obviously, this is a win-win for San Diego and the NFL. I call on Mayor Faulconer and the City of San Diego to create a new commission immediately, one to propose The Furrow Plan to the NFL. If this deal shows promise, we should simply let the Chargers go to L.A. and shack up with the Raiders. That sounds like a great relationship. They can be the Kardashians of football. Think about it, mayor. If it works, one day they’ll put a statue of you somewhere near Horton Plaza. I just want to take a moment to respond to the overwhelming response to my blog post last week asking for prayer for the family of San Diego Police Officer JD De Guzman, as well as prayer for the SDPD and others in the community. I received hundreds of comments and emails that were very moving, especially those from the many police officers who took time to respond. Thank you for your kindness and mostly, for praying for all of those involved. Many people have asked how they can help, and there are many ways to do so. Soon, I’ll let you know more about some ways to get more personally involved. For now, please continue to pray for the things I mentioned and consider supporting the family of officer DeGuzman and supporting the recovery needs of Officer Irwin and his family. You can support the family of Officer De Guzman through the San Diego Police Officers Association’s Widows and Orphans Fund. You can give online here (make sure to put “Deguzman” in the comment field, or simply by sending a texting “DEGUZMAN” to 41444. Please note that while Officer Irwin is still employed by the city, this fund is to help cover family expenses and lost income during his recovery. More information is available at the site. Again, thank you for your prayers and your kind comments. As you may know, two San Diego Police officers in the Gang Suppression Team were shot last night in San Diego. Officer Jonathan DeGuzman was murdered and Officer Wade Irwin is in serious condition but expected to recover. There are a few related matters I want to ask you to pray for, and I am writing to share some things you may not know about some of the people involved here which I have been privileged to meet and serve with. First and foremost, please pray for the families of the officers who were shot, especially for the family of murdered officer DeGuzman whose wife and kids are without a husband and father today and need our support and prayers. For officer Irwin, that he would recover fully and that his family would be strengthened and supported as well. “Finest” is not simply a nice term we use for the police to decorate their vehicles, it is a statement of character and sacrifice and honor that these brave men and women deserve. And when they are attacked here or elsewhere in the country, it makes everyone less safe. I simply cannot find the words to express how deeply saddened I am for these officers and their families. I ask you to pray for Chief Zimmerman and all of the San Diego Police Department and their families. Especially pray for those in the Gang Unit who are greatly affected by this. This shooting happened two blocks away from a location where several of these incredible San Diego Police officers in the Gang Unit meet together monthly with officers from other law enforcement agencies, city officials, and a wonderful group of community activists and volunteers who like them are committed to preventing exactly this kind of thing. This group also organizes regular walks in this very community were these officers were shot. Uniformed police, detectives, and the sergeants they work with dedicate time going door-to-door along with these community volunteers in order to listen to residents, to better understand their concerns, and to learn how they can better protect the children at the schools along with everyone else who lives in a neighborhood burdened with strife and violence and hopelessness. Both the police and community leaders do this at great risk and with great courage, and they are making a difference. They are committed to knowing and being known by residents personally as this heightens trust and makes everyone safer. Along with the police, this team includes pastors, some of whom are former gang members themselves. These pastors work so tightly with the police that when there is a gang related shooting, the police immediately notify them and they come to the scene, or they go to the hospital where a gang member or a police officer is being treated. These people reach out to gang members and offer hope and a way out of that life. They work hard with the police, churches and community organizations to prevent kids from joining gangs in the first place. The meetings are not religious in nature, yet, they often end with a prayer, where police officers, pastors, city leaders, community activists and volunteers, all of different ethnic and racial backgrounds, stand in a big circle holding hands and asking God to bless their work and keep them safe. It’s an incredible sight to see and very emotional to be a part of it in light of the increasing problems our nation is facing. With the state of our nation being what it is, and the negative and false narratives and politically driven coverage that these shootings so often receive, I want you to know there are people doing great work related to these matters who you never see on television. They are police officers, teachers, bankers, pastors and more who are not looking for fame, they just want to end the violence and improve life for everyone. Please pray for the many people here in San Diego and around our country who beneath the smoke of it all are risking life and social standing to save lives and improve communities. I want you to know that there are incredible people right here in San Diego who do not agree about politics, who do not agree about how to do police work, who do not agree about a great many things, but who get together in a room and spend time listening to each other and working together to make life better and safer for the people they serve. These people are heroes. They understand justice and peace. They are grieving because of what happened here. Please pray for them that they will not lose hope, that they will continue to go the extra mile in serving and protecting our communities. Additionally, please pray for the shooters involved here, and for the many who are connected to gangs and violent groups in San Diego. Pray that justice is done and that it is done swiftly, and then pray that whatever the case, like the pastors who are a part of the team I’ve been speaking of, that their hearts would be changed for the rest of their lives. Pray for the kids today who are being pressured to join a gang, which happens at a very young age, that they would turn away and be safe. Pray that they would hear the voices of wise mentors above the noise of the foolish tempters. Finally, I ask you to pray for police chaplains, specifically my good friend San Diego Police Chaplain Chuck Price, who knew Officer DeGuzman personally and and often would be found as a ride along with him. Last night, Chuck left his shift doing a ride along with a Gang Unit officer less than 2 hours before this shooting. Our police chaplains are often exposed to the violent scenes and the grief that follows and are also unsung heroes to an increasing number of police families who have lost loved ones while they were on duty. Please pray for Chuck and for the other chaplains and ministers who are tending to many who are affected today. They have a unique calling to serve those who serve. Thank you for praying for our great city and the San Diego Police Department, our city’s finest. Especially, pray again for the families of officer DeGuzman and Irwin. Please keep these matters in prayer as you pray for our nation and its people.